An active infrared night vision system optional on the M-Class helps the driver to more easily detect people, animals or other objects in front of the vehicle at night. Using an infrared camera and near-infrared lights to detect heat, the system then displays the image on a monitor in the dashboard. The RX Series doesn’t offer a night vision system. The M-Class’ optional lane departure warning system alerts a temporarily inattentive driver when the vehicle begins to leave its lane and gently nudges the vehicle back towards its lane. The RX Series doesn’t offer a lane departure warning system. The M-Class’ driver alert monitor detects an inattentive driver then sounds a warning and suggests a break. According to the NHTSA, drivers who fall asleep cause about 100,000 crashes and 1500 deaths a year. The RX Series doesn’t offer a driver alert monitor. Both the M-Class and the RX Series have standard driver and passenger frontal airbags, front side-impact airbags, driver knee airbags, side-impact head airbags, front and rear seatbelt pretensioners, height-adjustable front shoulder belts, plastic fuel tanks, traction control, electronic stability systems to prevent skidding and available all wheel drive. For its top level performance in all IIHS frontal, side, rear impact and roof-crush tests, and its standard front crash prevention system, the Insurance Institute for Highway Safety grants the M-Class its highest rating: “Top Pick Plus” for 2014, a rating granted to only 28 vehicles tested by the IIHS. The RX Series has not been fully tested, yet. The Mercedes M-Class has a better fatality history. The M-Class was involved in fatal accidents at a rate 4.8% lower per vehicle registered than the RX Series, according to the Insurance Institute for Highway Safety. 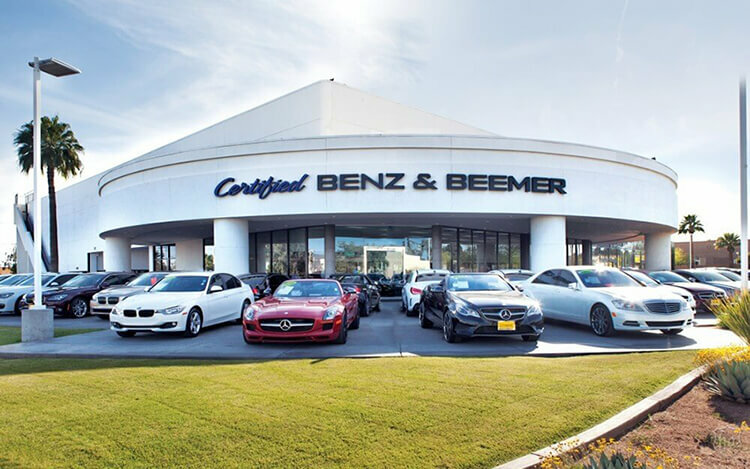 There are over 58 percent more Mercedes dealers than there are Lexus dealers, which makes it much easier should you ever need service under the M-Class’ warranty. The ML350’s standard 3.5 DOHC V6 produces 32 more horsepower (302 vs. 270) and 25 lbs.-ft. more torque (273 vs. 248) than the RX 350’s standard 3.5 DOHC V6. The ML350’s 3.5 DOHC V6 produces 7 more horsepower (302 vs. 295) than the RX 450h’s standard 3.5 DOHC V6 hybrid. The ML550’s standard 4.7 turbo V8 produces 107 more horsepower (402 vs. 295) than the RX 450h’s standard 3.5 DOHC V6 hybrid. The M-Class’ 3.0 turbo V6 diesel produces 207 lbs.-ft. more torque (455 vs. 248) than the RX 350’s standard 3.5 DOHC V6. The M-Class has 7.4 gallons more fuel capacity than the RX Series Hybrid’s standard fuel tank (24.6 vs. 17.2 gallons), for longer range between fill-ups. The M-Class has 5.4 gallons more fuel capacity than the RX Series’ standard fuel tank (24.6 vs. 19.2 gallons). For better traction, the M-Class has larger standard tires than the RX Series (255/50R19 vs. 235/60R18). The M-Class’ optional tires are larger than the largest tires available on the RX Series (265/45R20 vs. 235/60R18). The M-Class’ standard tires provide better handling because they have a lower 50 series profile (height to width ratio) that provides a stiffer sidewall than the RX Series’ standard 60 series tires. The M-Class’ optional tires have a lower 45 series profile than the RX Series’ optional 55 series tires. For better ride, handling and brake cooling the M-Class has standard 19-inch wheels. Smaller 18-inch wheels are standard on the RX Series. The M-Class’ optional 20-inch wheels are larger than the 19-inch wheels optional on the RX Series. The M-Class offers active sway bars, which help keep it flat and controlled during cornering, but disconnect at lower speeds to smooth the ride and offer greater off-road suspension articulation. This helps keep the tires glued to the road on-road and off. The RX Series doesn’t offer an active sway bar system. The M-Class has a standard continuously variable suspension system. Using sensors on steering angle, speed and other driver inputs, the shocks soften to improve ride, or stiffen when appropriate to aid handling on tricky roads or off-road. The RX Series’ suspension doesn’t offer adjustable shock absorbers. The M-Class has a standard automatic load leveling suspension to keep ride height level with a heavy load or when towing. The RX Series doesn’t offer a load leveling suspension. For a smoother ride and more stable handling, the M-Class’ wheelbase is 6.9 inches longer than on the RX Series (114.8 inches vs. 107.9 inches). For better handling and stability, the track (width between the wheels) on the M-Class is .7 inches wider in the front and 1.8 inches wider in the rear than on the RX Series. The ML350 BlueTEC 4MATIC handles at .81 G’s, while the RX 350 AWD pulls only .76 G’s of cornering force in a Car and Driver skidpad test. The ML350 BlueTEC 4MATIC executes Motor Trend’s “Figure Eight” maneuver 1.7 seconds quicker than the RX 450h AWD (27 seconds @ .65 average G’s vs. 28.7 seconds @ .57 average G’s). For greater off-road capability the M-Class Airmatic has a 3.9 inches greater minimum ground clearance than the RX 350 (11.2 vs. 7.3 inches), allowing the M-Class to travel over rougher terrain without being stopped or damaged. The M-Class has .6 inches more front shoulder room, .8 inches more rear headroom, 1.6 inches more rear legroom and .9 inches more rear shoulder room than the RX Series. A low lift-over cargo hatch design makes loading and unloading the M-Class easier. The M-Class’ cargo hatch lift-over height is 29 inches, while the RX Series’ liftover is 30.9 inches. The M-Class’ rain-sensitive wipers adjust their speed and turn on and off automatically based on the amount of rainfall on the windshield. This allows the driver to concentrate on driving without constantly adjusting the wipers. The RX Series’ standard manually variable intermittent wipers have to be constantly adjusted. While driving with high beams on, sensitive light sensors available for the M-Class detect other vehicles which could be blinded and automatically switch to low beams. The RX Series doesn’t offer automatic dimming high beams. To better shield the driver and front passenger’s vision, the M-Class offers optional dual-element sun visors that can block glare from two directions simultaneously. The RX Series doesn’t offer secondary sun visors. The M-Class has standard heated front seats. Heated front seats cost extra on the RX Series. The M-Class also offers optional heated rear seats to keep those passengers extremely comfortable in the winter. Heated rear seats aren’t available in the RX Series. The M-Class’ optional Active Parking Assist can parallel park or back into a parking spot by itself, with the driver only controlling speed with the brake pedal. The RX Series doesn’t offer an automated parking system. According to The Car Book by Jack Gillis, the M-Class is less expensive to operate than the RX Series because typical repairs cost less on the M-Class than the RX Series, including $148 less for a water pump, $73 less for an alternator, $42 less for front brake pads, $115 less for fuel injection, $43 less for a fuel pump, $184 less for a timing belt/chain and $122 less for a power steering pump. Strategic Vision rates overall owner satisfaction with vehicle quality. With a Total Quality Index of 906, Strategic Vision rated the Mercedes M-Class 31 points higher than the Lexus RX Series for 2012. The Mercedes M-Class outsold the Lexus RX Series by 78% during 2013.